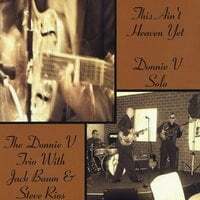 Donnie V | Donnie V Christian Blues | Prayer Request or Comments : To All Our Family Around The World We Love You!!!! To All Our Family Around The World We Love You!!!! Honey & I Love and Thank All Our Family Around The World, Over 45 Countries, who have been visiting Our Father's, (GOD), Ministry Website!!!! Honey and I Have Been Praying For You EVERYDAY!!! We Can't Wait To Meet You All In Heaven!!! We Would Love To Hear From You, Feel Free to Contact Us Anytime!!! Thank You For The Courage You Show In Following Jesus, Often Persecuted For Your Faith!!! JESUS SAYS!!! JOHN 15:18,19,20 If the world hate you, you know that it hated me before it hated you. If you were of the world, the world would love his own: but because you are not of this world, but I have chosen you out of the world, therefore the world hates you. Remember the word that I said unto you, the servant is not greater than his lord. If they have persecuted me, they will also persecute you; if they have kept my saying, they will keep yours also. JOHN 16:33 These thimgs I have spoken unto you, that in me you might have peace. In the world you shall have tribulation: but be of good cheer; I have overcome the world. JOHN 14:1,2,3 Let not your heart be troubled: you believe in God Believe also in me. In my Father's house are many mansions: if it were not so, I would have told you. I go to prepare a place for you. And if I go and prepare a place for you, I will come again, and recieve you unto myself; that where I am, there you may be also. JESUS THE LIGHT OF THE WORLD!! !